Inevitably, we have chosen the Morrocan Argan tree as our closest ally! This tree helps to fight desertification and houses a large biodiversity. Its roots prevent erosion of the soil and keep water for the area. Therefore, it protects this dry land of Morocco from turning into a desert. 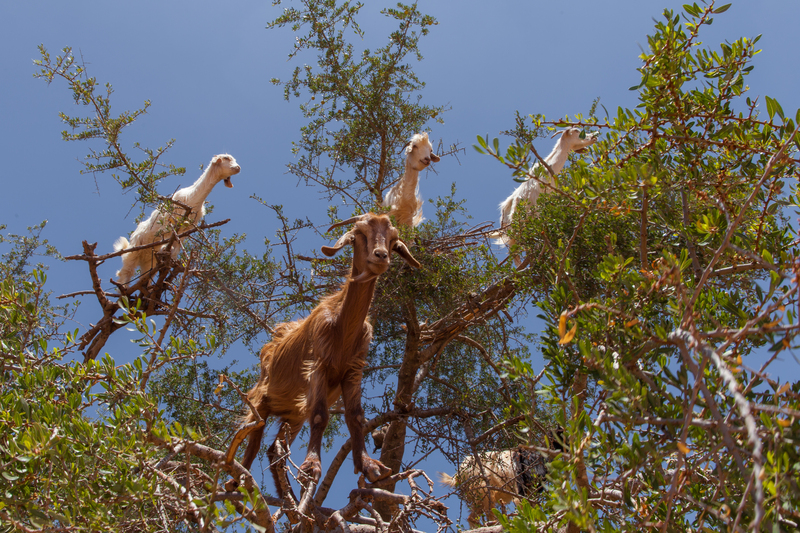 The argan tree is a shelter for animals by offering leaves and fruits. In its shadow other plants and grasses can grow, being protected from the burning sun. This way, it improves the whole ecosystem. The extraction of argan oil can only be done manually, which is why it transformed the life of 2.2 millions people, mainly women. The naturally sun dried nuts are processed in a traditional method of Moroccan Berber women, which are united in their cooperatives. This labour-intensive work is the reason argan oil is one of the most expensive oils available, but it also creates a lot of employment, social welfare and quality. 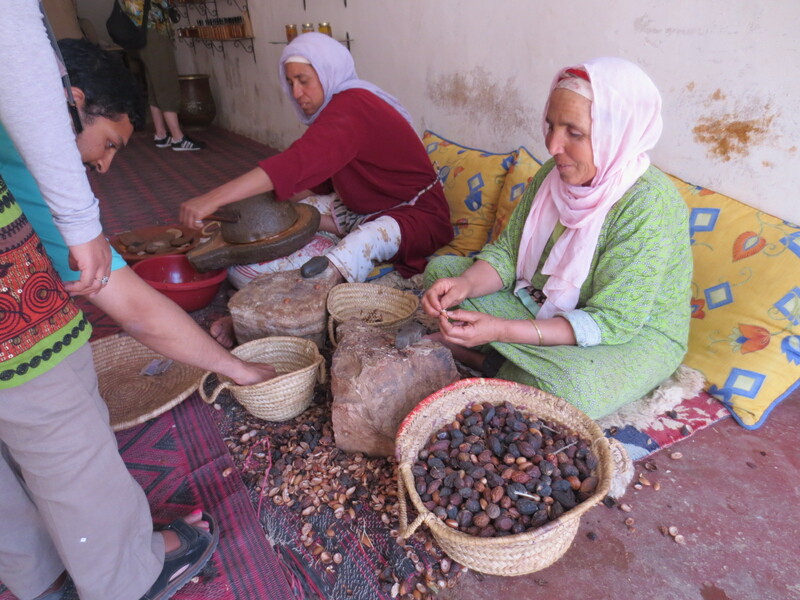 The cultivation of the argan tree allowed women to be empowered. The generated income offers them and their children an access to education… Therefore, this tree being part of so much social development was issue to many development and sustainability programs. Its oil is a true gift of mother nature as an antioxidant, anti-aging product, anti-acne product … The benefits on our body are incredible. It truly deserves its nickname of liquid gold!